Beaumont's NEW Molding Genius %%sep% Beaumont Technologies, Inc.
ERIE, PA – Beaumont Technologies is excited to announce that we have released our latest molding innovation that our industry can benefit from for no charge. Molding Genius, a software developed by our team at Beaumont, helps users quickly and easily diagnose the root cause of imbalances and variations in multi-cavity molds. Using this technology takes no more time than a traditional short shot study and gives users better results in clear, easy to read graphical outputs. 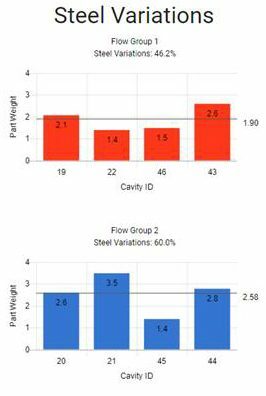 Graphical representation of Shear Variations displayed in Molding Genius software. 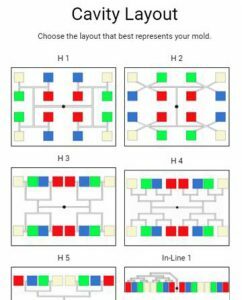 If you are running multi-cavity molds, then you should be using Molding Genius in your troubleshooting. This software evolved from Beaumont’s 5Step™ Process software, and includes more detailed results reporting and a streamlined user interface. This software allows users to immediately begin working towards a solution when they review their results and spend far less time determining the source of their problem. To start evaluating your molds with Molding Genius, go to beaumontinc.com/molding-genius and sign up for a free account.